Crime Stoppers encourages anyone with information about the cases featured below to call 255-1111 or submit a webtip. The Lincoln Parish Sheriff`s Office is looking for clues in the disappearance of Cheryl Williams. Cheryl disappeared on the night of July 20, 2004 in the Fellowship Community south of Simsboro, LA. She was last seen wearing a red Tee-Shirt and stone washed blue jeans. Cheryl was 37 years old at the time of her disappearance. Foul Play is suspected in Cheryl`s disappearance. 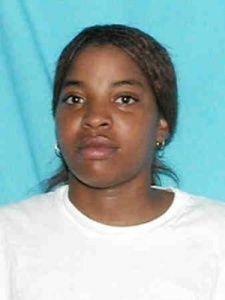 The Lincoln Parish Sheriff`s Office is looking for clues in the disappearance of Karhonda Stringfellow. Karhonda disappeared on the night of October 11, 2004. She was last seen at the Dubach Apartments in Dubach, LA. Karhonda has a tattoo on her left shoulder reading "Dion Stringfellow" She was 21 years old at the time of her dissapearance. Foul Play is suspected in Karhonda`s disappearance. 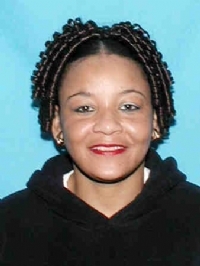 Anyone with information about Karhonda or her disappearance is urged to call Crime Stoppers at 255-1111.